If your heating or cooling system needs a tune-up, or you have a break-down, we will respond to your needs with fast, award winning service. Our technicians always adhere to the highest standards of excellence, from furnace or air conditioning maintenance, to HVAC repairs, installing a new thermostat to installing a new energy efficient heating or cooling system. Affordable Heating is the name customers think of first. 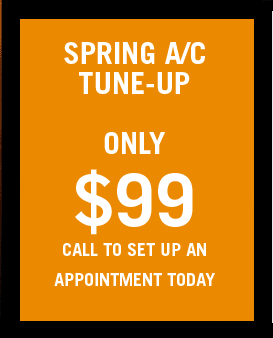 We guarantee excellent workmanship and customer service from every Affordable Heating and Cooling technician and employee. If you need routine HVAC maintenance, or want to save money off of utility bills by replacing your current system, we can help!